African countries including Kenya are experiencing a faster rate in the development of linear infrastructure. Governments have put in their agenda a clear roadmap on how they intend to attain economic growth. Economists strongly believe that infrastructural development is central to economic growth. To this effect, Kenya has been implementing major liner projects while some are under the development phase. The desire for evidenced-based policies and practices cannot be overemphasized when the world is grappling with issues of climate change, increase in human population, and conflict among other. In Kenya, different agencies have collected data over a long period of time. However, the greatest challenge has been how to bring these data together to inform decision making. On March 13, 2019, Vital Signs showcased the progress of the online data integration platform we are developing in partnership with the government of Kenya during a High-Level Dialogue on Sustainable Development, Conservation and Climate Action on the sidelines of the UN Environment Assembly (UNEA) in Nairobi. Conservation International and Liberia's Environmental Protection Agency Launch Capacity Building Initiative for Transparency Project in Liberia. 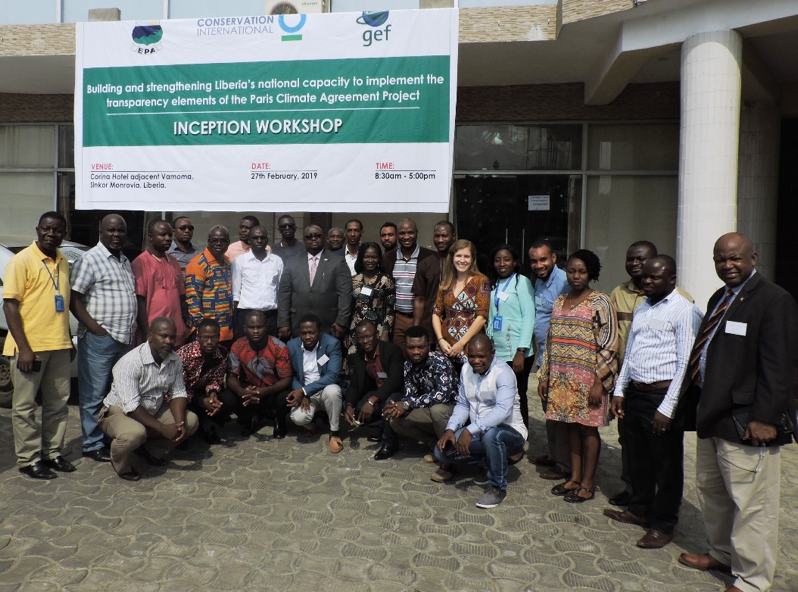 On 27th February 2019, Conservation International in partnership with Liberia’s Environmental Protection Agency (EPA) officially launched the Implementation Phase of the Global Environment Facility (GEF)-funded project titled: ‘Liberia’s Capacity Building Initiative for Transparency’ (CBIT-Liberia). On 4th to 8th February, Conservation International’s Vital Signs program hosted a sectoral working group workshop to strengthen the capacity of Kenya to develop a Greenhouse Gas (GHG) inventory that accurately tracks and reports its climate actions. On January 30, Conservation International (CI)-Africa Field Division officially handed over an assortment of IT and office equipment worth almost KSh 1 million (USD 10,000) to the Climate Change Directorate (CCD) of Kenya's Ministry of Environment and Forestry as part of a project to support the country's climate change monitoring and reporting capacity.